Can Moiré be Completely Removed in Lightroom? As you may have noticed, I used the word “reduce” instead of “remove” in the header of this article. That’s because the moiré pattern often cannot be completely eliminated with a non-destructive editing application like Lightroom (except for mild cases of moiré), especially when moire damages the texture. Photographs with very visible and large moiré patterns in the Luminance Channel can only be completely fixed in Photoshop, which is a cumbersome and time-consuming process. In many cases, you have to sacrifice details to remove moiré completely. This is the reason why I have been recommending most of our readers to buy the regular version of the Nikon D800 instead of the D800E. The latter is a specialized tool for dedicated landscape and macro photographers that want to get the best out of their equipment. The last thing you want is introduce another step to your workflow in order to clean up moiré, just because you picked up the wrong camera. Next, slide “Moiré” all the way to 100. If the adjustment brush is too small, you can make it bigger by sliding “Size” under “Brush” to a bigger value or by pressing the “]” character on your keyboard (“[” to make it smaller). Here is the area I covered with the adjustment brush. As you can see, the yellow and green rainbow colors have been removed from the image. However, the texture still looks strange with visible darker lines (Luminance Channel), which is left over from nasty moiré that damaged the texture. As I have stated before, this kind of moiré is impossible to completely remove in Lightroom. The only way to get rid of it completely, is to use a much more complex procedure in Adobe Photoshop. A separate tutorial on how to remove moire in Photoshop has previously been published. If you work with the original RAW file, you can use the above technique with a combination of the down-sampling process in Lightroom to get much better results. Question here – did you use the image in this size, or you worked on the original raw file and then saved it smaller for the website?? I’m asking because I tried with an image taken from internet and what Lightroom 4 did was almost just to desaturate the moire, but the curves stayed (similar to what you have here). 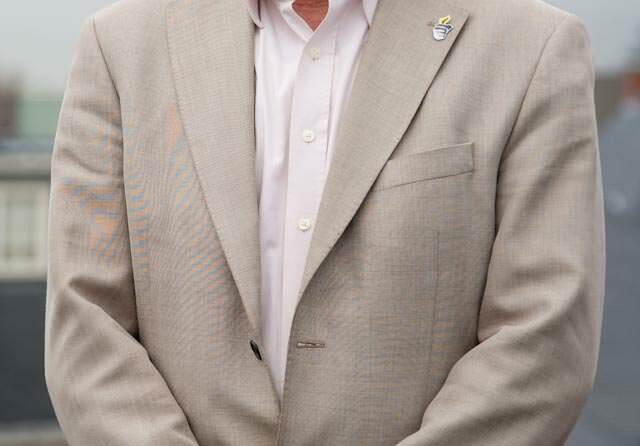 they have successfully removed the moire from the image. However if you take their 1st image and try to remove the moire in LR4 – it looks like your result. So I’m wondering in order to have the moire removed with ANY software, may be the original RAW image is needed. In smaller and JPG files information could not be enough to substitute the “damaged” areas. Stefan, no, I used the JPEG version of the file, since I have no RAW file with moire that I can use. The moire reduction tool in Lightroom definitely works better on original RAW images. If the image is large, once you remove moire with the above steps, you can also down-sample the image and make it look even better. However, if moire is of nasty type (like in the above image), where it actually damages the texture, then it cannot be completely removed. You can use Photoshop and blur some of the moire out and then downsample + sharpen, which should give better results. But it is a complex and painful process. That’s why I have been pointing out over and over again, that if you will be shooting anything with repeating patterns, the regular Nikon D800 version should be bought instead. Thom Hogan says he expects people to run for the D800E and demand will be higher than Nikon expected (so shortages will be normal for the D800E). But why are people not content with the “regular flavor”? I suspect people will go the extra mile (=extra money) to get even more sharpness out of the already many 36MP they have to deal with. I suspect many of them will exactly get the result you display here and if we are honest the AFTER picture is still horrible, thanks to the moire texture. Nikon was right in setting the price higher – not only because they expected less units sold (higher costs for lower number of different filter) but I guess they wanted to limit the amount of D800E sold – to not get hammered by people buying it for the wrong reason (to get universally sharper images). Most people, myself included, haven’t come near a camera without an anti-aliasing filter and undoubtedly many will work with one the very first time when buying a D800E. They will be in trouble and I hope they read your excellent articles on that here. 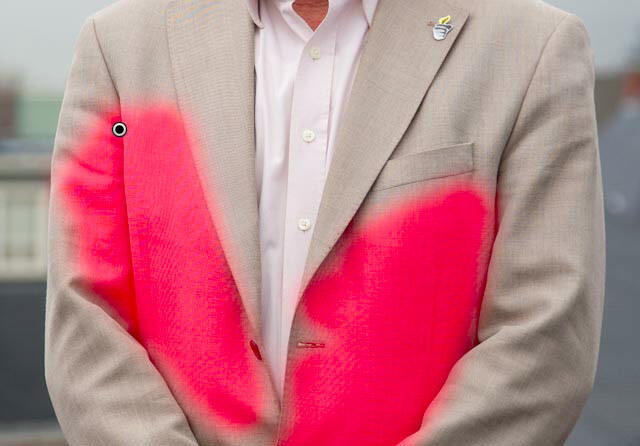 I guess there will still be some broken hearts after that because – and lets be honest – the AFTER image still looks decidedly worse than it would look if a regular D800 would have been used. The gain in sharpness can’t really compensate for the problematic texture. When dealing with noise in digital photos from our cameras we differentiate mostly between two kinds: Luminance and color noise. It literally took years to get good algorithms in affordable programs/plugins to reduce or even remove both types well, although we still more often than not get an unwanted byproduct: Loss of details. I some programs like Lightrooms/Camera RAW etc. we now have sliders to introduce micro contrasts and artificial detail to compensate for the loss of detail. I guess with moire it will be exactly the same. At first there’s only color moire reduction as demonstrated here but there isn’t a good luminance moire reduction — yet. I expect this to be in later program versions (Lightroom process version 2014 ;-)) so that one can treat problematic images better. If I would have to buy a D800 or D800E today I personally would undoubtedly chose the D800. I am not writing to disagree with your viewpoint but perhaps play devil’s advocate. The D800E is not the first camera to have “removed” the anti aliasing filter. I know you didn’t imply that it was. But I guess my overall thoughts on moire are this–why are some photographers making such a deal of this?? I don’t hear Leica M9 shooters harping about moire constantly. They just shoot. I have used the M9 myself on landscapes and other subjects-some with repeating patterns. Moire was evident but there are minor adjustments you can make to get rid of it. I would implore all of us to stop hashing specs so intently before even handling the product. I can’t imagine the Nikon product being anymore difficult to handle than the Leica. I have to say some of the most astonishingly sharp photos I have ever taken were with the M9. If the D800E is even remotely as sharp and trouble free as the Leica it will be a success. As a longtime Nikon user as well I can’t see the company releasing a problematic product. Tami, you are wrong about M9 shooters not complaining about moire. Those who photograph people and architecture get it quite a bit and the issue has been discussed many times in various forums. Ditto for medium format users (wedding and portrait photographers) that also get annoyed by heavy moire issues. Yes, it does not happen everywhere and on everything but when it does, it can be very painful to remove. Lightroom does not completely remove it and various tricks in Photoshop use blurring methods to decrease moire. Nasty moire that affects the entire image can be very painful to deal with, especially when the image is 36 MP in size. That’s why it is best to avoid the D800E version, unless one fully understands the moire issue and is ready to deal with it. I also think that probably working with the RAW files will give you more flexibility to work with, but not all moire patterns are the same and some could really be nasty ones. I would go for D800E, since I shoot primary landscapes, but I also shoot urban, city-type images – skyscrapers, etc. And the repeating patterns in the hundreds of windows are almost screaming “Moire!” That’s the reason I cannot afford to spend hours to clean Moire and the result will be still unsure. I think E version will be for people with very narrow and specific work style – why not food photography for example. Nasim, you probably know this, but perhaps it would be useful for some readers. You can see where you have already applied the brush by hitting O (for overlay). This displays a red semi-transparent overlay that shows it clearly. I don’t know if there is a “clicky” way to do it (no Lightroom nearby now). Andy, yes there is. 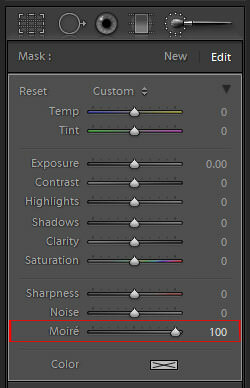 When you activate the adjustment brush you get a check box titled “Show Selected Mask Overlay” located directly under the image. Thank you Adele, I fixed the article! Will fix the article shortly! I am amazed at how you can write as many interesting items, despite the fever. Thank you very much for your big efforts! The Nikon D800 has many enhanced features compared to my D700. It sounds good. But first I would like to see a 1:1 comparison of the image quality and the AF-system. The change from D700 to D800 would mean for me a new iMac, because my iMac is now more than 3 years old, and my 4GB of RAM and 2.66GHz dual-core processor probably are not enough strong to process the large RAW images of the D800 with Lightroom. The move from 12MP to 36Mp is too much for an amateur photographer like me. For professional photographers, the D800 may be without a doubt a very big and cheap improvement compared to the D700. It’s obvious too, that they buy the best computer hardware for their work. But if there is now a very good D800, it’s also because a lot of amateurs have bought an expensive D700 during the last years. I think it’s very unfair from Nikon, not to think about this aspect. I understand your point, but I can’t agree with you. It was the same situation almost 4 years ago, when the D3/D700 was introduced. At that time computers from 2004 were not efficient enough to support the fluent workflow with 12Mpixel RAW files. …and i’m sure, I forgot many important things. So you can see, the computer is only a fragment of the total costs. There are people who want to buy this state of the art body, but do not want (or can’t afford) to spend the money on the required accessories. As it was written a few articles before, somebody would like to use the D800 with a USD 600 16-85 VR DX lens! I’m also sure, many buyers will use some compressed jpeg as standard format and will whinning about the IQ of the photo just because they don’t know how to do the post processing or they want to save money on the storage and memory cards. I had an example there: It’s like a Mustang GT without racing tires. You will loose a big part of its potential if you can’t supply the right equipment. You have a fantastic D700 which won’t make worse pictures just because the D800 has been announced. So I suggest you to stay with it until you have the money for every important part of the system, if you can’t accept any slow-down in the post-processing. Sorry for the grammar mistakes, english is not my mother tongue. My thoughts as well. I have a D700 (I use raw only) and a 17-35 2.8 zoom, plus a really old 70-210 zoom. I use an iMac 24-inch running OS 10.6.8, maxed out at 4GB RAM. So to even think about getting the D800 or C800E (as I am into landscapes abstracts, etc) is a leap I have consider with your required accessories comments. If I were to purchase, it would be the D800E as I work to avoid moire right from the start. Just as I would imagine medium format folks do. While the D700 is a very fine machine; the glass is the more important consideration. So, I will stick with the gems I have, and add another pro level lens eventually. Carmelo, thank you, feeling a little better now! I agree with some of what Bintang said regarding computer requirements. I remember when I had to deal with 12 MP files instead of 6 MP that I was very used to, all of a sudden storage and speed became an issue for me. Then as the number of files grew, so did the requirement for a good photo management software…it just never stops. If you want to be current, you have to keep up with the technology. You cannot take a huge step in upgrading the camera and expect that everything else will stay the same. Your iMac with its 4 GB of RAM is already underpowered, even for the current versions of Lightroom and Photoshop. Open both at the same time and work with large files and catalogs, and you will see what I mean. I personally have never been a fan of Apple PCs and laptops, because they are way overpriced in my opinion. I built a custom PC last year for less than $2K and it is a very beefed up machine that would cost me close to $5K if I were to go with Apple. So I saved a boatload of money by choosing a different platform. You could build a decent PC with 16 GB of RAM for less than $1500 nowadays, which will last you another 3-4 years at the minimum. Another problem: the lenses. I wonder If my Nikkor 24-120mm/4.0 has enough resolution in the corners for the 36 MP sensor. It would be better when Nikon would give to the customers the freedom to choose a low resolution sensor (e.g. 18 MP) or a high resolution sensor (36 MP) for the D800. In these way, Nikon could attract a lot of customers who are happy with a lower resolution and don’t have enough money for a new D4. OK. I understand. However, from what I have read, medium format cameras are usually not equipped with filters to reduce moire. So Nikon is possibly catching up here? What do medium format users do to reduce or possibly eliminate moire? Am I to think that one needs an even fancier hunk of software than Photoshop to reduce this problem, since I imagine many users of medium format cameras work in the product and fashion industries where repeating patterns are common. Am I to believe that such folks would not be bothered with Lightroom in the first place, thereby relegating it to the ‘masses’. There is no way I could ever think about medium format! Allan, medium format users do have to deal with moire issues – there are lots of discussions on this topic all over the Internet. People that know they might have moire learn how to avoid it in first place and if they made a mistake, they spend many hours fixing it in post-processing. Is the chance of moire effects with a 36mp camera not a lot smaller than when it would have only let’s say 12mp? Starred, yes and no. Yes in a sense that because it resolves a lot of details the patterns that are larger do not produce moire. No, because very detailed and tiny patterns will still cause an issue, even with a high resolution sensor. It would be great if one of your readers could provide a Raw file with moiré for you to work on for your photoshop experiment. You could even update this post by reducing the moiré on a Raw file with LR4. I’m sure some people don’t even know how many advantages it has to shoot raw. it seems they also can’t remove the Moire – but it’s like desaturated. Yes, D800 is my choice!!! Hello: Just started playing with LR4, and my develop module does not show the new moire or noise reduction brushes from raw image files that were edited in LR3. Looks like the LR3 adjustments pane. IF I import images into LR4, the new brush options are available. 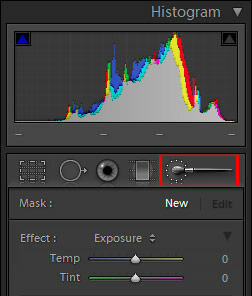 Can I NOT use moire & noise reduction brushes in from raw files originally edited in LR3? I noticed the same thing, but then realized that you have to Update to Current Process (2012) an LR3-processed photo in order to see/use the Moire Adjustment brush. I’m a hobbyist photography, and haveve been shooting with my Fuji x100 for a while now (which does not have an AA filter), and I have not noticed much problems with moire. Just wanted to ask if you’d think the problem with moire will be more dramatic on the 36mp camera than my 12mp cropped x100? I’m just curious cuz the image quality of the x100 is amazing…. partly thanks to the removal of the AA filter I’m assuming. I’m planning to upgrade my crop SLR system to full frame..and so am just wondering on this topic. I am looking for something that is very hands on practical learning, covering photoshop and lighting and image manipulation. Perhaps you may know of a way i could gain experience being an assistant too, it seems hard to find people willing to share the knowledge..?